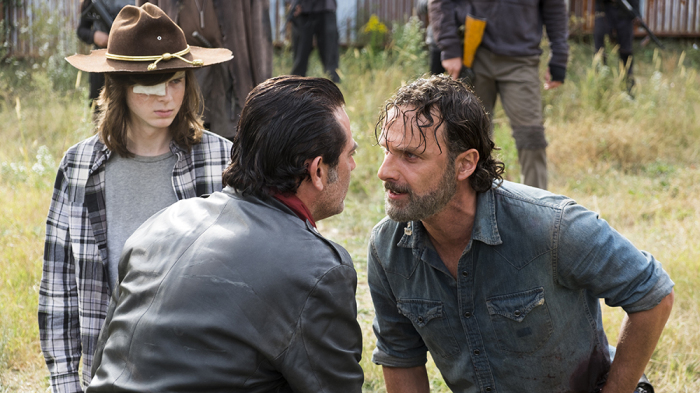 Who will win the war between Rick’s Alexandrians and Negan’s Saviors when The Walking Dead returns to the air this Sunday? 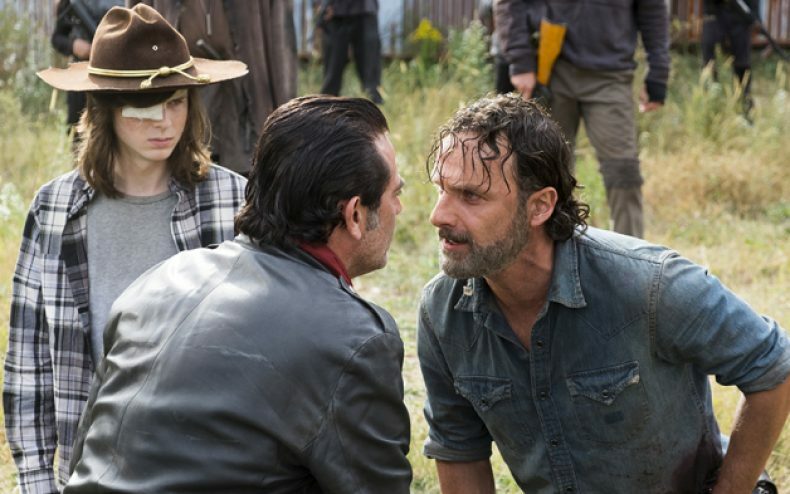 Why don’t we ask showrunner Greg Nicotero? Obviously Greg isn’t going to give the answer out right away, even if fans can just look ahead in the comics to find out who wins. So the answer he gave Variety is….the Walkers. He means eventually. That’s looking at the big picture, I guess. The Walking Dead will air its landmark hundredth episode this Sunday at 9 on AMC.